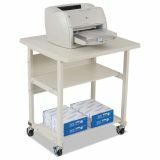 BALT Heavy-Duty Mobile Laser Printer Stand, Three-Shelf, 27w x 25d x 27-1/2h, Gray - Heavy-duty multipurpose machine stand is designed for use with copiers, scanners, printers and fax machines. 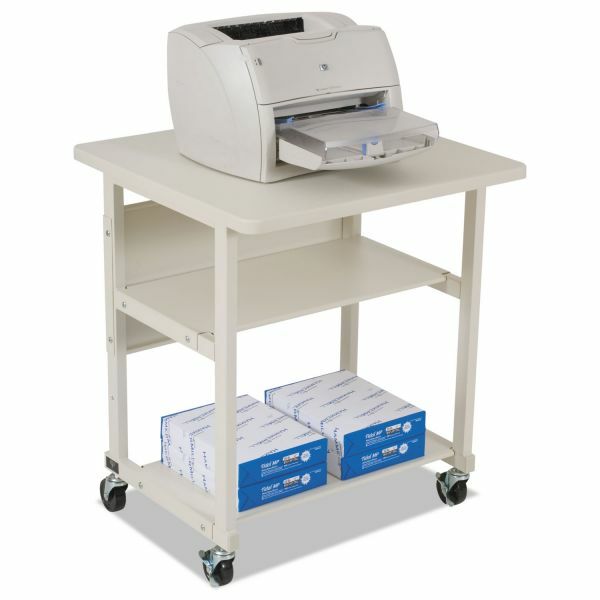 Spacious, 1 thick top platform (27" wide x 25" deep) accommodates a variety of machine sizes. 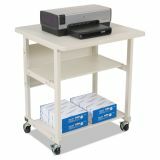 Design includes two storage shelves and a back wrap-lock panel for stability and rigidity. Steel frame has a power-coat finish. Machine stand weighs 61 lb. 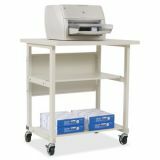 and rolls easily on 3" casters."